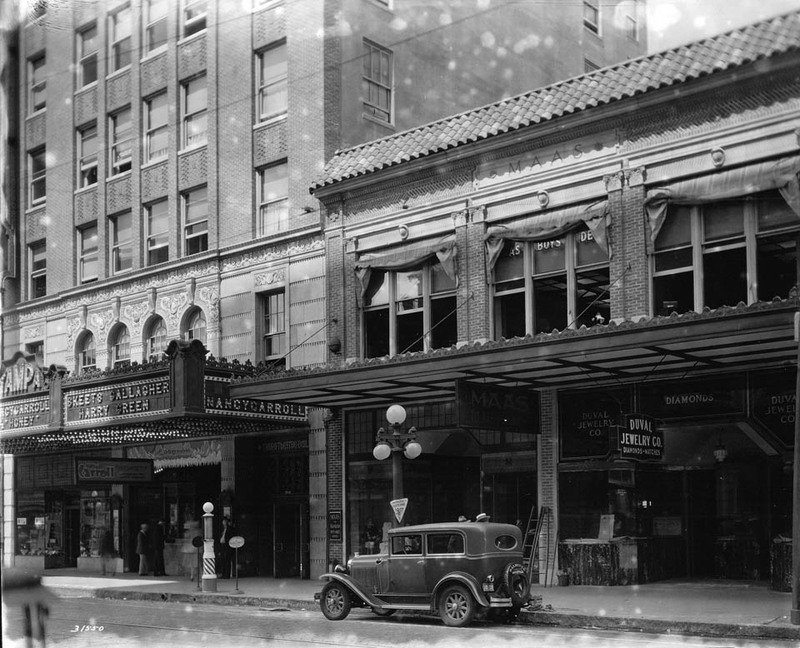 Another photo of Tampa Theatre along with the old Maas Haberdasher & Duval Jewelry stores. 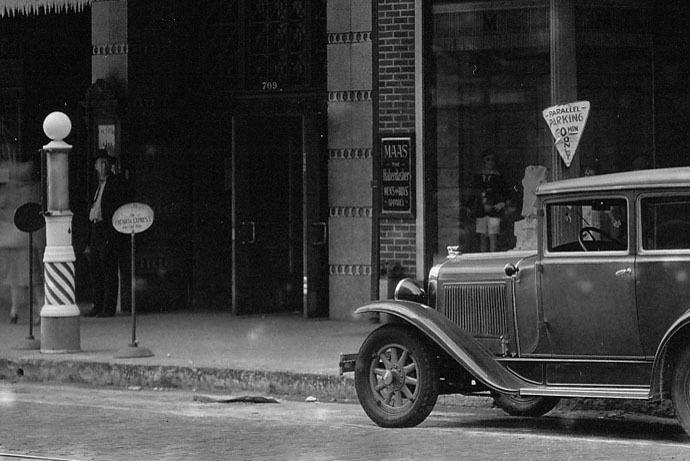 The sign on the building to the left of Tampa Theatre says “MAAS the Haberdasher Mens and Boys Apparel. Also, is that a gasoline pump outside of the theatre? Interesting shot. I think that’s a barber pole and not a gas pump. The movie on the marquee opened on March 29 of 1930 so this shot would have been taken some time after that. I’m not sure how long it took for a new feature to come to the Tampa Theater back then. 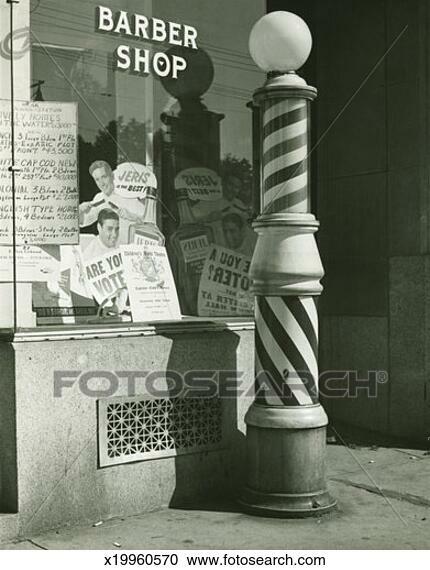 Oh, because the photograph’s exposure was a little long, the top of the barber pole (the part that spins) is blurry. Here is what it looked like if it was not spinning: Barber Pole 1 and Barber Pole 2. 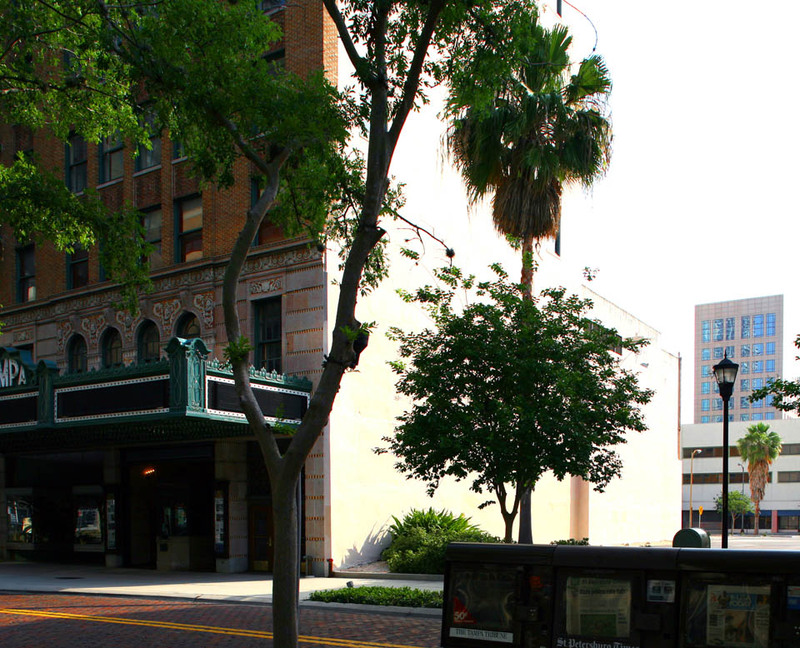 However, do you have any idea why the pole appears to be in front of Tampa Theatre and also so close to the road? The open doors seen in the photo directly behind the barber pole are not the entrance to the theater but to the adjoining office and retail space. Most likely there was a barber shop inside.